Yesterday I shared about how I use my planner to it’s fullest potential as essentially an abbreviated journal. In that same vein, I also keep a notebook where I record miscellaneous lists and information that I might need to refer back to. 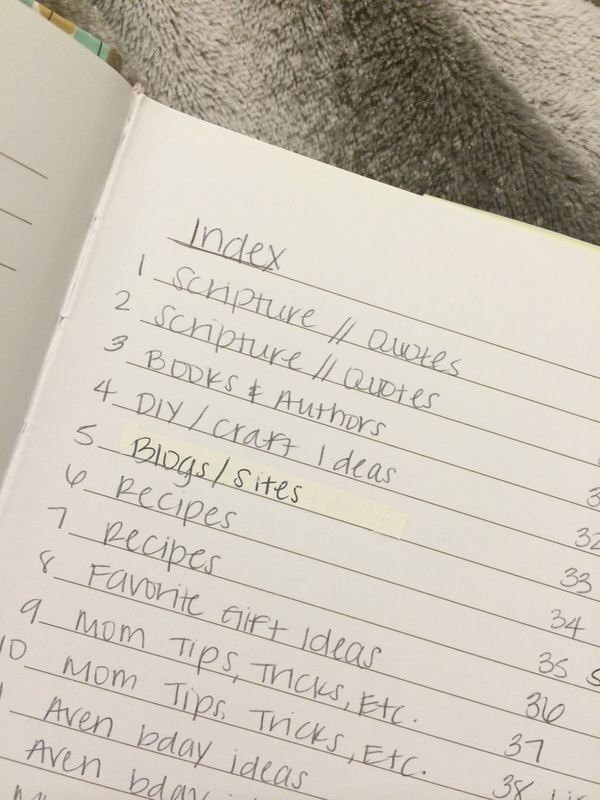 On Page 1, I create an Index so I can quickly find topics as needed. I number as many as I can fit on the page, in a two-column format. Then I go ahead and fill in the first page numbers with things I already know I’ll need categories for. Some of the categories take up two or more pages, like recipes and quotes/scriptures. I just tried to think ahead about which topics or lists would need extra space to grow. Next, I go through and number each page after the Index in the corner, just like a book. This notebook is something I keep close by (not as close as my planner, simply because I refer to it less often). It’s usually in my car or with my current stack of bills to pay at home. Every so often I will sit down with my Notebook and scroll through my phone’s notes and screenshots, transferring anything that I want to keep. My Notebook has become my very own reference book for my life. It wouldn’t mean much to anyone else because the information written in it is all personal to me – MY favorite authors and books, MY most loved quotes, MY “places to see” list. Having an organized spot where I can reference so many different topics and keep ongoing lists simplifies the need for fifteen different apps, and quite honestly? It frees up some brain space. Or at least it feels that way. 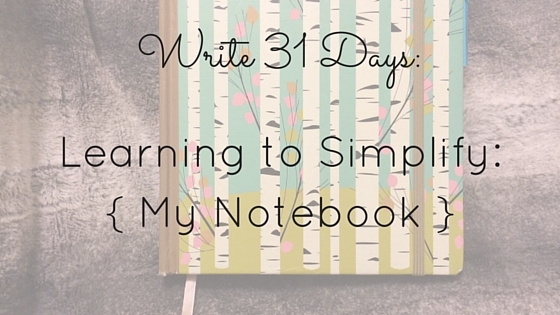 *Make sure you buy a journal with a lot of pages so you don’t run out of room too quickly. I also prefer a hardback because it seems to hold up better. And as with the Planner, bonus points for a cute journal. Hi! I'm Shanna; a Believer sharing the honest chronicles of a grateful wife + mom. Also I'm probably wearing stripes. And drinking sweet tea. Thankful you're here! One year down, four to go of #Avenrocksthepatch 🌟🌈 So proud of this babe. All photos and content are property of shannaleighwrites.com; use only with permission. Professional photos on this site are (c) D Crowe Photography. Some links are affiliate links, meaning I receive a small commission through clicks and purchases. This is a way for you to support the writing here - I am so grateful for my readers!